NOW is the time get your product into SD's Recreational and Medical Dispensaries. From idea to market. Whether you have an existing product or just an idea, we can help you navigate the market trends through market research and analysis; construction of simple or not so simple business and marketing plans; sourcing materials/ingredients and local co-packers; placing and promoting your product on line, in the media and on the shelves of local businesses. We can also help you navigate the waters through the Non GMO Project certification or Organic certification process. Let us wade through all the new cannabis ordinances and you can just create! NEW distribution sources for your product: Already have a product on the shelves but need new distribution sources to grow your business? We can help you take your business to the next level by introducing your product to new venues to sell your product and increasing it's visibility on line and inside local brick and mortar stores. Cottage Industry Products: Got questions about starting out and getting your product into local farmers market. We can definitely help! 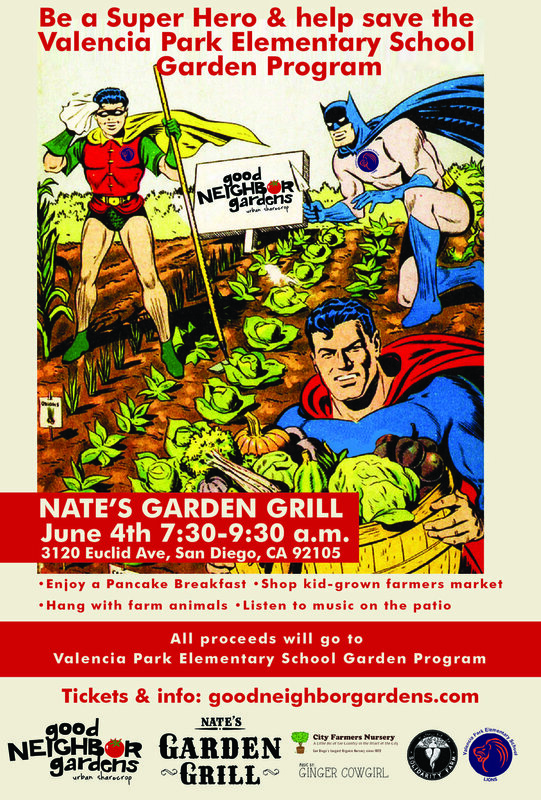 We love farms and are affiliated with many of San Diego's small, large and non-profit farms. 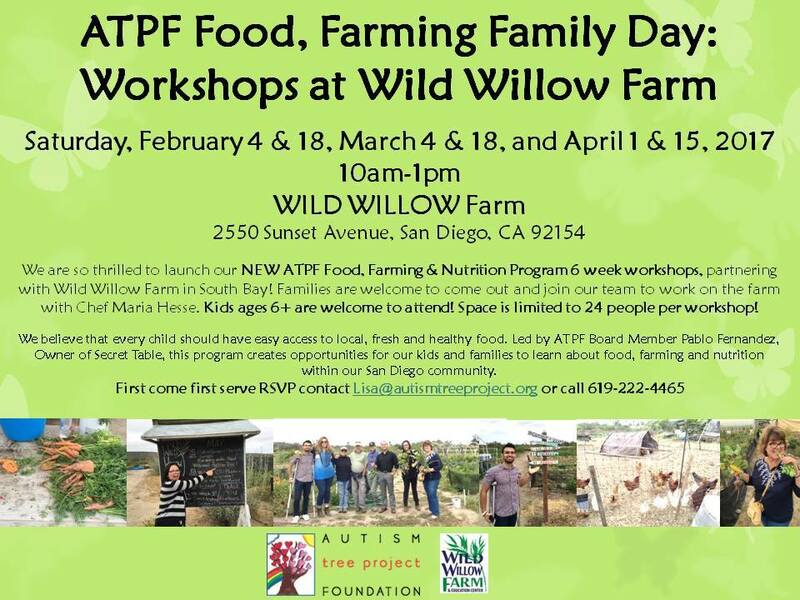 We are also an expert source of San Diego's Community Supported Agriculture programs, having worked for Be Wise Ranch and Suzie's Farm CSA programs. Wondering how you could incorporate more local seasonal produce into your diet? We can make that happen. Check us out in Edible San Diego. Wondering how you can make farm to table a reality without bankrupting your business? Then, we can help you with making your goals a reality. Wondering how you can make your life better by eating better? Then, we can help with that! Hands down, we know everyone in San Diego! Whether it's a B2B connection, a press or media contact, a blogger, SD columnist, food critic or for that matter, a SD City Council Member, we know them and can connect your business with them. Social Media: Facebook, twitter, Instagram, Pinterest, Google+: Are you trying to do everything for yourself-butcher, baker and candlestick maker? Or do you think that you can't afford to hire anyone to do your social media? The reality is that to grow your business you cannot afford not to hire someone to increase your social media presence. We hope that someone will be us! We work with YOU!! Website/Blog/Content creation and maintenance: Creating and managing a website is easy these days! Let us create a website that you will be able to manage and have access to 24hrs/day. We create the website and you become your own web master, even if you now see yourself as techno challenged. Learn how to keep your content fresh and reach your audience. Check out one of our website clients: The Foodie Whisperer. E-newsletter, blog posts, e-commerce creation and management: Let us help you tell the world about your product! Whether it is for customer acquisition or retention, we will help you communicate to your customers and let them know why they should continue to buy your product. Branding and Identity: Branding is one of the most important aspects of any business, large or small, retail or B2B. An effective brand strategy gives you a major edge in increasingly competitive markets. We work with a team of branding experts that will create an entire branding package including logo, business cards, an online presence and perhaps most importantly your "story" that sets your product apart and creates value. Additionally, that brand will be carried over into packaging, signage and collateral. Events, demos, and fundraisers: We love to party and partying for a cause simply makes us giddy!! Whether it's time for your business to be seen at community events or your cause needs to raise the bar in their fundraising efforts, we can make it happen! Our grants have received funding from Kaiser Permanente Health Services, Home Depot, The City of San Diego and more. Expect detail oriented, always on time grant proposals. Expect to have your grant funded!